Is this the object the person submitting was refering to? 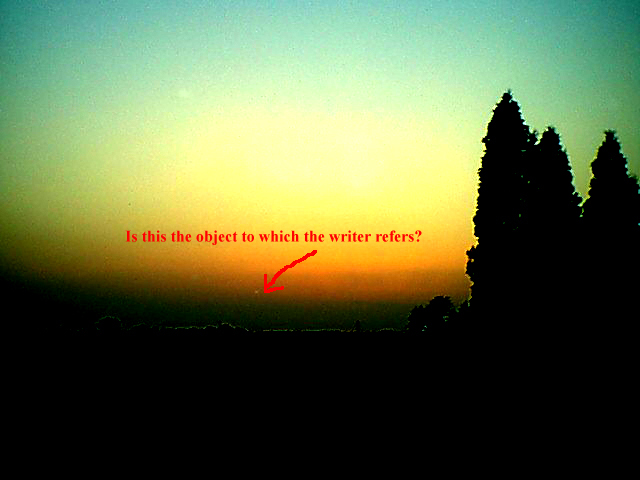 If yes, it might be at the same relative position as the Colorado sunrise photo. If we only knew where the sun actually set in the photo.